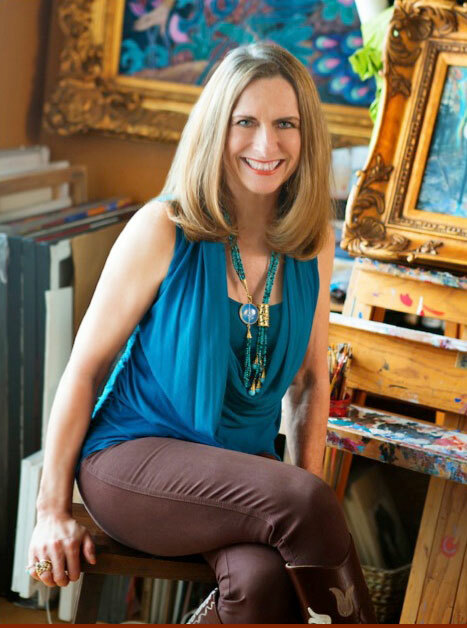 Jeanette Korab's career in art, fashion and photography has spanned the globe. A native of South Dakota, she earned her Bachelor of Fine Arts degree from prestigious Stephens College in Misourri, prior to pursuing graduate studies at Texas Women's University. Korab instructed abroad at the American Fashion College of Switzerland, Lucerne and her own private studies in art were then continued in Santa Fe, New Mexico; Venice and Tuscany, Italy; and Paris, Giverny and Versailles, France and Spain. This journey of discovery, marked by new horizons and personal growth, ignited the artist's passion for expression. Works born of Korab's European travels include iconic street scenes set beneath the Eiffel Tower, verdant Tuscan landscapes and haunting potraits from Carneval di Venezia. As visual manifestations of her deep connection with each locale, the resulting creations resonate with the viewer on an emotional level. This multi-faceted artist's unique perspective is also showcased in fine art photography. As a fashion photographer in high demand, she captured images of icons, including Edith Head and Karl Lagerfeld, as well as countless high profile runway shows and events. On behalf of a robust private clientele, her images commemorate heartfelt moments and personal milestones. The care taken with her subjects on canvas is equally apparent in Korab's photographic art. Representing a third and most beautiful featured medium, the art of Jeanette Korab becomes fasion through her fine jewelry designs. Each stunning piece connects the bearer with a stories destination, symbolic stone, or talisman. A gem-encrusted lotus forms the clasp of a striking lariat; an ancient turkish design comes to life in a modern collar; a spectrum in druzy glitters in all shapes and sizes. Copyright © 2011-2016 Jeanette Korab, All rights reserved.